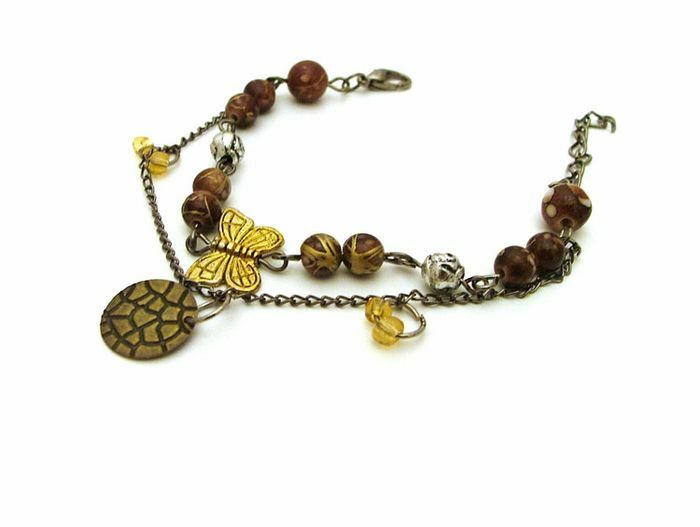 A cute little bracelet with brown tone beads and a little butterfly charm. Fun fashion jewellery for every day wearing. Length approx 16cm with 5cm extension chain.